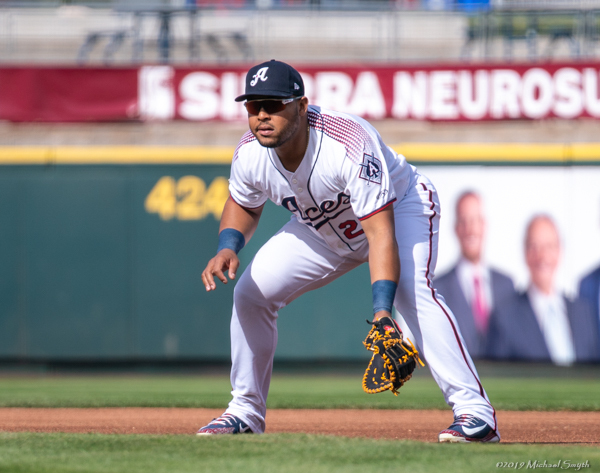 Yasmany Tomás is off to a scorching start in Reno, but his eyes are set on an MLB comeback. 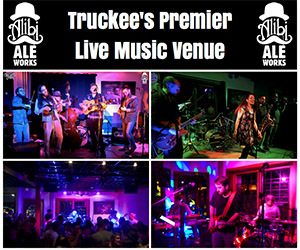 Tahoe Onstage photos by Michael Smyth. Yasmany Tomás is awaiting a return to the Arizona desert. A former Diamondback, Tomás is bruising the ball with the Reno Aces, batting .400 with a team-high three homers and seven RBIs this season. He’s accumulated a 1.055 OPS. The Cuban slugger went 2-for-5 with a towering home run in the Aces’ 12-7 loss to the El Paso Chihuahuas on Saturday. He crushed El Paso reliever Kyle McGrath’s high fastball that hit off the scoreboard and ricocheted off the foul poul in left field. Reno manager Chris Cron is anxious to see Tomás back in a Dbacks uniform. 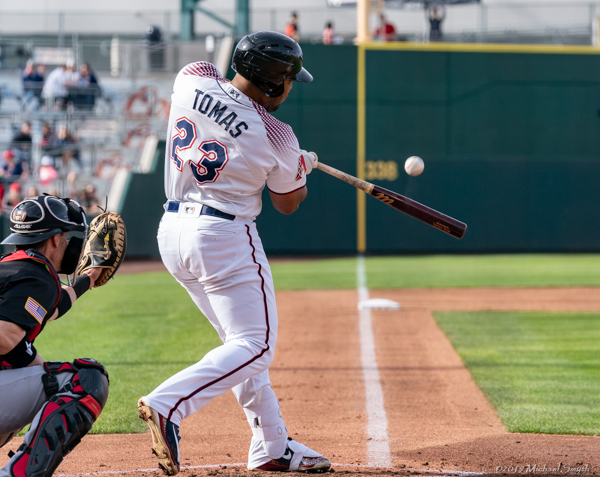 After a successful spring training with the Dbacks, where he batted .448, Tomás was optioned to Triple-A Reno for the second-straight season. He signed a six-year, $68.5 million contract with Arizona in 2014. Tomás’ frustrations grew last season after starting the year with the Aces. Now healthy, and noticeably slimmer, Tomás is focused on getting back to The Show. Tomás’ right-handed pop at the plate is his specialty. His defensive limitations in the field keep him out out of the lineup against National League teams on occasion. He’s started five games in left and three games at first, recording two errors this season. Before his three-year stint with the Dbacks, Tomás’ professional roots began as a 20-year-old in the Cuban National Series League as a member of Industriales La Habana. Tomás played in Cuba from 2008-14, where he defected from Cuba in an effort to make the big leagues. Tomás hit nine homers and 48 RBIs in 118 games as a rookie in 2015. He batted .272 with 31 home runs and 83 RBIs in 2016. He missed 115 games the following season after he underwent core surgery. The Havana, Cuba native was optioned to the Aces the following season. He’s stayed in the Biggest Little City since. Off to a hot start in Reno, Tomás is determined to make it back to Arizona. 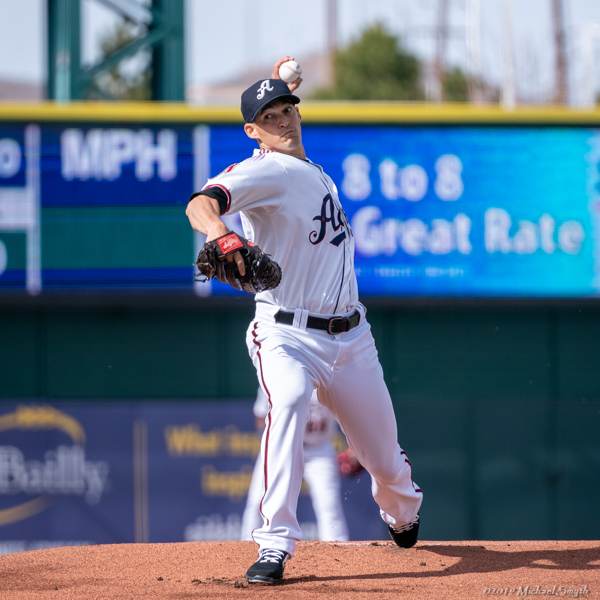 Holding a 6-1 lead through four innings, the Aces gave up 11 runs to the Chihuahuas, who took the first two games of the series. Reno scored once more in the bottom of the ninth, making the final score 12-7. The Aces recorded nine hits. Abraham Almonte finished 2-for-4 with two doubles and two RBIs. Domingo Leyba went 1-for-4 with a double and RBI. Alberto Rosario finished 1-for-3 with an RBI. Travis Snider added two hits. Cody Decker’s pinch hit appearance in the seventh inning marked his 1,000th career game over 13 seasons. He is two home runs shy of 200 career home runs. Aces’ Starting pitcher Anthony Vasquez got his second start. The southpaw allowed one earned run on four hits in five innings pitched. 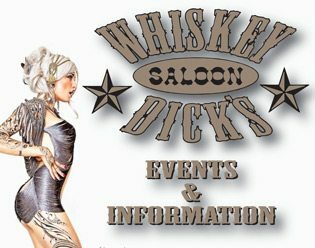 Reno’s bullpen combined to give up 11 runs in four innings. Seth Mejias-Brean launched a solo shot to center to put El Paso up 1-0 in the first. Reno responded with a three-run second inning. The Aces added two more in the fourth to push their lead to 5-1. Reno tacked on another run in the fourth. El Paso took the lead with a six-run sixth inning. The Chihuahuas pushed their lead with five more runs in the final three frames. The Aces scored their final run in the bottom of the ninth. 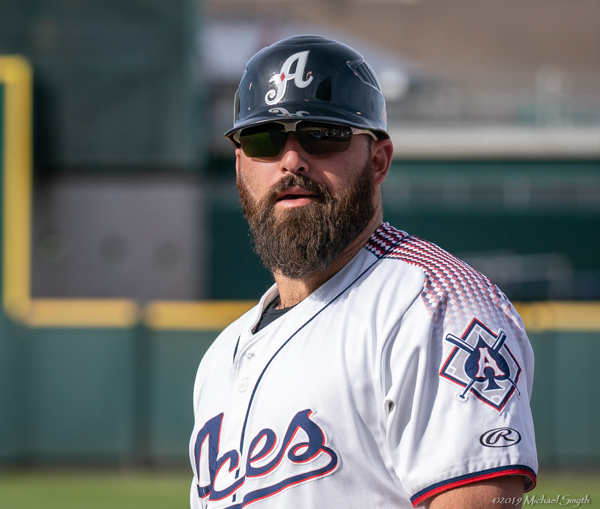 Notes: The Aces have three homers and 21 RBIs at Greater Nevada Field this season. … A paid attendance of 4,992 marked a new season high in attendance. 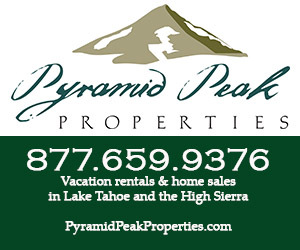 … The average temperature in Reno on April 13 since 2009 is 61.4 degrees. 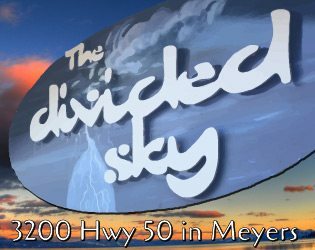 Today’s high was 71 degrees. Tomas and Snider are the two Aces with batting averages over .300. Taylor Clarke gets the ball on Sunday vs. the Chihuahuas. On Deck: Reno, 3-7, plays El Paso at 1:05 p.m. for the third game of the four-game series. 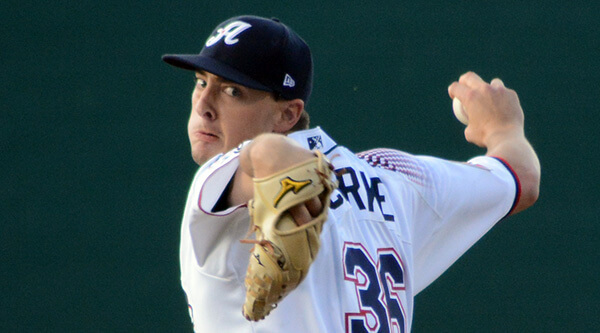 Aces right-hander Taylor Clarke is slated to face Chihuahuas southpaw Jerry Keel. Tomás has three starts at first base. Bench coach one inning, pinch hitter the other. Cody Decker has played 1,000 career games. Southpaw Anthony Vasquez pitched a solid five innings in his second start with Reno. Historic: On this date in 1908, Pirates owner Barney Dreyfuss offered Honus Wagner a contract with a proposed a salary of $6,000. The third baseman, who won his second consecutive NL batting crown last season, will eventually signed for $10,000, twice the amount of his previous pay, to become the first major leaguer to make a five-figure salary. On April 6, 2013, the most coveted baseball card of all-time proved its worth once again early Saturday morning, as the 1909-11 T206 Honus Wagner card sold for $2.1 million in an online auction. Only 10: Yes, the Aces currently sit at the bottom of their Division with a record of 3-7. That doesn’t mean they are going to finish in this position. The 1991 Minnesota Twins started the season with a 2-9 record and finished with a World Series victory. The 2003 Florida Marlins began the season 19-29 and went 72-42 the rest of the season en route to a World Series title. It’s not how you start, it’s how you finish. 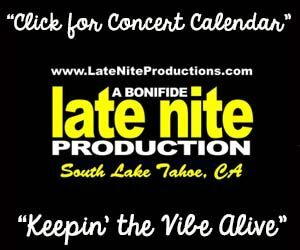 Soccer Ball: Reno 1868 FC beat Colorado for the first time in club history last night following a two-and-a-half-hour game delay and 90 minutes in the snow. Despite the cold, things heated up for Reno 1868 FC in the second half. In the 64th minute, Seth Casiple ran on to a deflected Switchbacks’ header, took a touch, and found the back of the net with a shot over goalkeeper Abraham Rodriguez’s head. It was looking like the match was going to finish 0-1, but five minutes of stoppage time was all Brian Brown needed to net his fifth goal of the season. The forward ran onto a through ball from Aidan Apodaca and finished in one touch, doubling Reno’s lead. What a Relief: The Reno bullpen will lick their wounds and take the field again this afternoon following an offensive outburst by the El Paso Chihuahuas. Robby Scott, Braden Shipley and Joey Krehbiel threw four innings, allowed 12 hits, and gave up 11 runs. As an entire unit, the Aces bullpen holds a 7.55 ERA through 10 games. In 2018, Aces’ relievers finished with an ERA of 5.48. Leader in the Clubhouse: Travis Snider has made himself at home in an Aces uniform. The journeyman outfielder extended his hit streak last night to six games. In each of the six games during the streak, Snider has recorded two hits. He has started eight of the Aces 10 games and reached base two or more times in every one of them. Snider leads the Pacific Coast League with an average north of .515 and is tied for second in the PCL with 15 total hits. Snider has a career .310 average at the Triple-A level and .303 overall in Minor League baseball. Honest Abe: Abraham Almonte’s favorite meal is probably a double-double from In-N-Out Burger. Almonte leads the Pacific Coast League with five doubles. Last night the outfielder recorded two, both off the El Paso starter Chris Rowley. The only other player in the PCL with five is Braden Bishop of the Tacoma Rainiers. Socrates Brito led the Aces in doubles last season with 34.